Board of directors, board directors, board administrators, executive administrators, C-level executives (CEO, President, CFO, CIO/CTO, COO, CMO), IT leaders, Corporate Secretaries. OnBoard Board Portal Reviews Recently Reviewed! From day one, the attention I have received from the team has been second to none! Pros: There are numerous things I like about this software! I appreciate how easy the software is to use. It has saved me hours of compiling paper documents for a board book. I can upload information as it comes to me in multiple file formats, and can reorganize the documents within the book effortlessly. When I first started using OnBoard, there were a few features that I had on my "wish list" (I wish it could do "x")--and the developers are so on top of things that I have seen many of my wishes come true as implemented features. They continually refresh the software to make it easier--not add extra steps like you can find with other software. And most of all, I value the immediate attention and service I receive from the team. They always pick up my call, and have an answer or solution ready. Cons: There's a few minor things that could be tweaked, but overall it's an easy, clear and efficient system that has saved hundreds of hours and resource time and reduced the risk of mailing board books to members that live outside of our immediate area. Pros: I researched more than 15 portals before deciding to go with OnBoard. The price and ease of use made the decision very easy for us. It is a clean and intuitive interface with lots of power behind the scenes. Cons: There are some features like alphabetizing by Last Name or First Name that change depending on which page you are on in the portal which adds some confusion. I'd like the Dashboard design to allow for more more customization. Overall: The training and support staff are top-notch. I work with a very experienced board and several have commented that it is one of the better portals they have encountered. I always get a REAL PERSON within a few seconds of calling their support line and they have ALWAYS been able to answer my questions. They take feature requests seriously. I highly recommend them for any board looking to have a better environment for communication and collaboration. Pros: This software allows us to provide a much needed one-stop-shop for our Board and Supervisory Committee members. Since OnBoard can be put on any device, our Board is able to securely review the packets well in advance of the meeting, which has really shortened our meetings and eliminated printing large packets. We also love that the Board has all of the resources they need in one location and that they can even sign the minutes and other documents right within OnBoard. More to come! Cons: What I like least about the program is that we have not fully utilized the features yet... but that's on us! Looking forward to the day when our OnBoard is being fully utilized (although Passageways is constantly coming up with new solutions, so this day may never come - absolutely not a complaint). Overall: Our overall experience has been fantastic! We are fortunate to have their executive on our side; they are wonderful at explaining our options and finding solutions to our specific needs. I personally create the Board packets, and my time has freed up significantly with OnBoard. It's just so easy to use! I'm very excited to see how our OnBoard platform evolves and makes our lives even more efficient than it already has. Pros: Software is very user friendly. When first utilizing this program, I was able to set up all users and start building agendas and uploading files with very little assistance from customer support. Cons: At this time, I do not have anything that I dislike about this package. A few of our older Board members are not necessarily fond of using a mobile device (iPad) to following along in meetings. For those members, I do still print a package when needed. Overall: Prior to using OnBoard, I was printing, collating, tabbing and binding fifteen Board Packages per month. This program has helped reduce the amount of paper being used and has significantly reduced the amount of time it takes to prepare/build the Board Package. We also use OnBoard for various committee meetings and management team meetings. We currently have 25 users. Pros: 1. 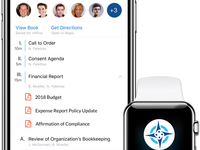 We use the tab "Actions" for approval of time-sensitive items in between Board meetings. 2. we use the tab "Resources" as a library to retain all important documents we want the Board to access easily at their convenience. 4. use of annotations features on documents. Cons: No meaningful things i don't like. Maybe the user interface on the homepage can be more attractive. Pros: I am on several committees that use this to organize our meetings. I really like the book feature. Having all of the agenda items in one place and in order for everyone helps the flow of the meeting. Everyone has the some information. Before - we would email attachments to everyone in the meeting. We would then email updated versions because something changed. Then in the meeting, we would have to describe which attachment you are on. Most would print out the attachments. Now that we are all viewing the same docs in the same order, meetings are more efficient and fewer docs need printed. Cons: I would like a view that would allow me to view JUST the book - a popout of the existing window. A single sign-on feature would be nice as well. Could a link be created on the Portal to automatically launch and sign your user into On-Board? Intuitive, reliable, & slick interface! Pros: The absolutely critical thing about OnBoard that my organization liked the most was that it was very easy to use. The board and committee members needed a solution that required little to no training. Onboard fulfilled that need. Cons: I really can't think of anything currently bad about OnBoard. At one time, we had an issue with annotations saving reliably, but support worked very hard to get to the source of the issue and fixed it permentanylny. Everything works perfectly now. Our users are quite happy with OnBoard. Overall: Rollout was smooth. Passageways Support was there to assist thought the process. Anytime we have an issue, which is not often, support is quick to respond and resolve. I am On Board for OnBoard! Pros: I love that I can designate permissions for specific agenda items, not just the entire packet. Additionally, the fact that it is web-based and I can make changes anywhere at any time allows me far greater flexibility than my previous digital certificate based portal. Cons: Sometimes it can take 2-3 minutes to "Build" the packet when you add one additional document. Overall: Customer service has been great and is always ready to help. Pros: While I know our company has not used the software to its' full capacity, I like that it makes procedures easier. For instance, the calendar that I load our board packet to each month -this feature has taken hours away from what I used to spend doing this task. Cons: I don't think I've used it enough to have a least favorite thing. Overall: I have been very pleased with the customer service - the follow-up time has been good. Our new CSM, rep, has been very enthusiastic about helping us, and he and we will be working together to find new features for our company to begin utilizing. 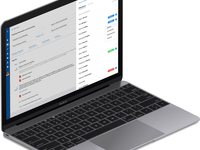 Pros: OnBoard enables simple and powerful communication between our staff and board of directors. The set up of the program was quick (up within a few hours), training was effective (felt like a pro within 48 hours) and support is prompt and complete. Quite simply OnBoard does not feel like a piece of software but a utility that extends the effective governance organization of our organization. Also, really enjoy the ability to view on multiple devices without any troubles. Cons: I struggle to identify any specific changes that would make board communications better through OnBoard. Overall: Simple and powerful communications with our board of directors in a cost effective and efficient manner. 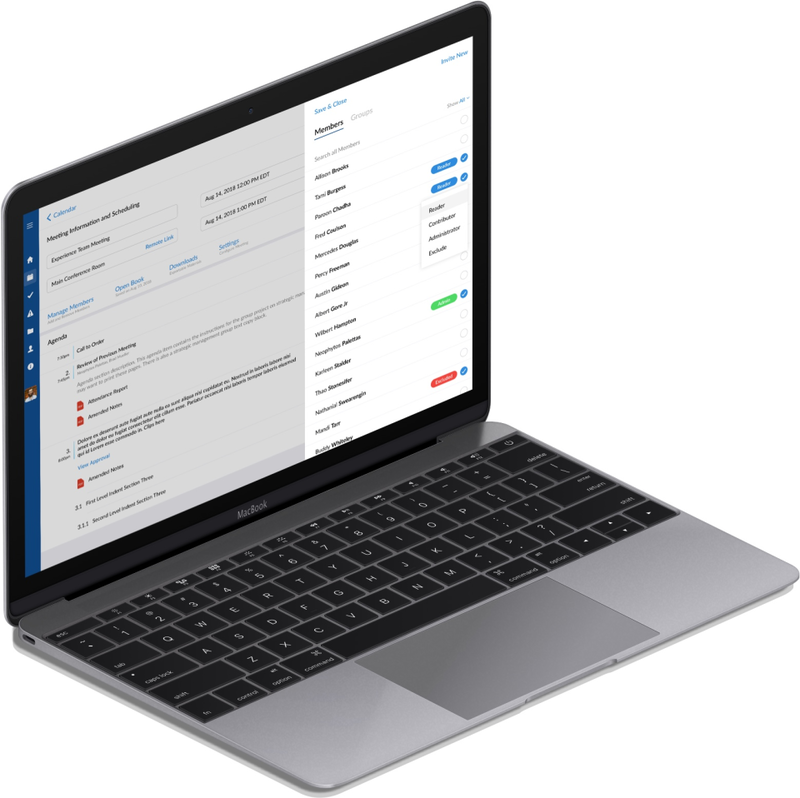 Pros: After looking at a number of companies, we chose OnBoard because it seemed the easiest to introduce to our board members, most of whom had never used a portal, while also having relative ease of use on the back side for school administrators. This has proven to be true and in less than a full year, most board members are getting the hang of it. As administrators, there are still things to learn. Passageways is doing a good job of continuously improving and integrating customer suggestions. There are more robust (aka more costly) apps out there, but since our trustees are all local, this has met our needs nicely. Cons: It is not always the most intuitive for administrators, but again, all are learning and most seem to be able to upload what they need for their committees. The primary complaint I have heard from board members is the multi-step process required for them to be able to print hard copies of any documents. Overall: The time and dollars saved in printing has been amazing! The support from Passageways has been unfailing. I know they have many customers in the financial arena, but they have done a good job of translating their experience to our needs in K-12 education. Cons: I really don't have an answer for this section. I love everything about it. Overall: Board Portal Security and the Security of sending out Business and Commercial loans for approval. Pros: Time saved rather than printing and putting binders together. Money saved, no paper or ink. Time saved getting the information to members electronically. Administrative side is easy to use with the drop and drag functions. Cons: Its thinking capabilities in saving. I type faster than it can keep up. Need to wait at times for it to be ready to save before I can go to a new page. Overall: Overall, very helpful and easy to use. Would recommend to anyone who is looking for an electronic portal. Pros: The software is very easy to use for our board members. The capability of sharing documents with the entire group and the ease of downloading the packet for print. Cons: My team has mentioned that sometimes adding people to a group can be difficult. But overall we have been satisfied. Overall: My overall experience is positive. The only challenge we have is not a software issue. It is simply an issue of getting all board members to utilize the program. We have used OnBoard to streamline our board meetings. Pros: We love how effective this software has been in disseminating information through our board members, executives, and credit analysts. Cons: We have no complaints about the software. It has been great for us. The only thing I could say is that occasionally when setting up and saving user permissions, they will revert so they warrant double checking. 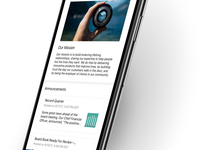 Overall: We have gained the ability to streamline communication between our board members, bank executives, and credit analysts. We are also currently looking at using OnBoard for our conference app to send out the agenda, breakout sessions, and content for those sessions. Pros: The software allows us to organize our board packet and committee meeting packets in one place. Cons: It would be nice to be able to create folder to keep the archived meetings in by year. Overall: OnBoard has made putting together meetings much easier, and we spend less on copies and postage. It is also a time saver. OnBoard is incredibly easy to use, our board member absolutely love it. Pros: Easy of use is definitely the best part. Everything just works the way it should. The reliability is also fantastic with OnBoard. There are also many updates throughout the year which are always handy to have. Cons: The admin site is a little complex and the learning curve is a bit steep but once you figure that out everything works good. Overall: Made our board meeting so much easier to manage for both admins and users. Pros: It allows meeting to be more efficient and keep the meeting on track and focus results in more positive outcomes and productive meetings. Cons: The online phone app is not as easily accessible and usable as the online platform is. Overall: The overall experience has greatly improved our organizations meetings and by using this tool there are much fewer meetings that go by the wayside and are unproductive. Pros: The people at passageways are great to work with and very helpful. It has cut time off of our board meetings and is very easy to use. The security is also a great feature and I no longer have to print everything out on paper and delivery to the board members. Cons: There are no dislikes that I have found with it yet and we have been on it for 5 years. We just had our first live board meeting in June 2018 using the portal. It was great! Liked by all. Pros: I like that we can set up an agenda for a board meeting, and then be able to copy that same agenda to the next month's meeting (without the attached documents, of course). You can very easily see if you have missed uploading a document into the agenda. It is very user friendly; documents are easy to attach to the proper location in the agenda. It also allows us to store policies, procedures, or any other resource documentation we would like for our board members to have access to. This makes a nice contingency location for these policies too. We are just getting started with this portal, but from what we have seen in doing our first meeting using the portal, "it's a winner". Another great feature is that we can download the board meeting file and have it available for examiners. Cons: We are just getting started, but so far I like it all. I had a couple board members that I didn't have an email address for, and it wouldn't let me build their user until I got the email address. Pros: I wish I could rank OnBoard's customer service higher than 5 stars! I couldn't be happier with their training and customer support. Their top level folks have taken the time to have conversations with some of our board members for input. The system is seamless when board members come with their IPads or use our tablets. 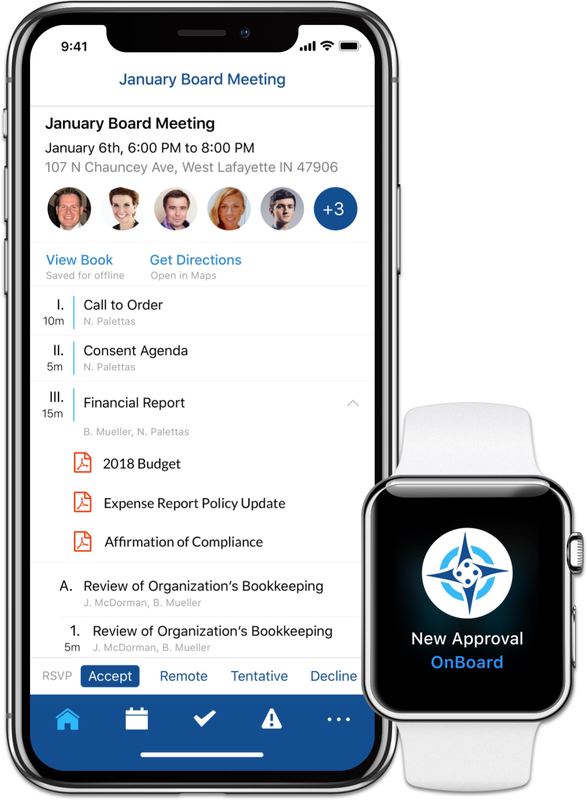 Preparing for board meetings has never been easier from a staff perspective and we are definitely saving time, money and trees by using OnBoard. Cons: Some of our board members still want to print documents so I've had to show them how to download the document (which is easy) and then they can print whatever they like. Pros: It's easy to use, my documents are on my phone, it makes the board meetings more effective. Cons: I've only disliked one thing about the product early on, but I told reprentative about it right away and the issue was fixed almost immediately. Overall: Our board is now able to spend more time strategizing and worrying about big picture because the administrative tasks are taken care of in advance. Pros: What I like best about OnBoard portal, is that our board members are able to access documents without having to ask me to send them to them. Everything our board should need is easily accessible and in one location. I am able to send meeting requests. Pros: The software is easy to use and requires little training for new board members. Adding new members and creating groups is easy. Locating items within the platform is fairly self explanatory. Cons: It limits the types of contributors you can have on action items. You are either a admin, voter, or admin & voter. A presenter option for those that need to answer questions on an Action item in the discussion, but should not be counted in the voting numbers, would be great. This limitation means that the results must be modified after finalization and download to correct the number of actual voters and assure quorum requirements are met. Pros: Very easy to use. Great security features. Allows you to copy the format of a prior meeting without the attachments. Cons: Much like other apps, you cannot open the app if you have not completed the update. However, you can still open the software in the web browser. Pros: I like the ease and functionality of the software. Cons: I really like OnBoard and the way it is set up; therefore there is nothing that I can report as liking the least about this software. Overall: The experience that I have had with OnBoard Board Portal and with the employees have been excellent. Pros: OnBoard has taken a very time-consuming convoluted process and made it easy, intuitive and manageable. I have saved countless hours in prep time and board book assembly as well as, printing cost to include paper and toner. I haven't really run into anything I don't like about OnBoard. Since I am the company expert, I help everyone understand the software and when I can't troubleshoot their issues, I can always count on my Account Executive for help. Cons: At times, we've had a couple of bumps on the upgrades, but as soon as I identify them and contact Passageways, it's worked out immediately. Overall: After implementing the software to the Board of Directors, I then set up 15 company committees which have also realized savings in both time and materials. Cons: Software has been upgraded several times during the past 4 years and every time it gets upgraded it causes a learning curve for our members and users to reacquaint themselves with navigating and uploading material. Overall: We are very satisfied with the Passageways Board Portal. We find that the portal is user friendly. The use of the portal has reduced the time spent on putting together board packets and the cost for printing and mailing these packets. In addition, it provides a central point for us to find all of our Board material in a safe and efficient manner. We currently use OnBoard for our board packets and love it! Pros: We love how easy it is for the board to get the information quickly, Our Board varies from the 30's to the 70's and all of them are able to use it easily ( no matter what age!) No more mailing board packets that will take up so much space, and its so easy to go back and get information from past meetings for reference. For me doing the call report, I no longer have to go through piles of paper and am able to get any information from any month easily! We love love love using this product, and my CEO loves the ease of it as well! Overall: Savings trees and so easy to reference old board packets! Comments: We are extremely happy using Passageways Board Portal. It has significantly added value to our collaboration ecosystem. The attractive UI makes it easy to use and smooth integration with MS products further adds to the better usability aspect. Excellent Job Passageways team! Pros: It's ease of use and how it gets better every month with updates. Cons: Seems to be geared more towards one board per organization, Not as easy if you have multiple boards. 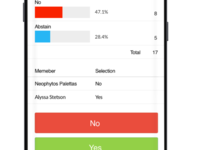 Pros: Easy use and navigating along with easy on boarding new board members. We went from a paper driven document board delivery to electronic format with in 6 months. We still use paper but hope to have that phased out in the near future. Cons: I would like to see either shared files or links within reports that can allow readers to continue with board report while referencing a linkable data document. Overall: Easier communication and development for the administrator along with the board members. Pros: It's easy to use and keeps everyone on the same version of a document! Cons: Obviously it does require every participant to have a device. Some people just prefer paper no matter what! Pros: We are a not for profit so cost is great concern to us but also efficiency and confidentiality . The software allows us to share documents speedily and in an effective way. Cons: Sometimes its tricky for the administrator to navigate between the different pages when setting up materials however once setup its easy for the user/reader of materials. Overall: Overall, its made our organisation more efficient so its saved us time and money. At same time, promoting greener ways of working. Pros: What I like most about the software is it is user friendly. Also I like the capability it has of being able to bring across various power-points, videos, excel sheets with total ease. The customer service has been outstanding and very attentive to all of our questions and needs. Cons: At the moment I haven'f found anything that I dislike about the software. Any suggestions we have made have been taken into account for future updates. Several documents could be uploaded per section of Agenda Items. Cons: The views of the when the book is opened in the portal and moving through sections. Overall: Comfortable; support services are excellent; extremely convenient for meetings; no more printing, collating and stapling of board packages. Pros: We really liked the ease of use on the administrator side. The ability to move documents around effortlessly made it easy to switch from our previous provider. Cons: The additional add-ons like collaboration for board members on the portal was included in our previous board package and is extra here. Overall: Overall, we have had a good experience with the product. The ease of use in preparing the board package was the biggest selling feature. Cons: I wish we had better participation from our users, but that's no reflection on OnBoard. Pros: This product is extremely easy to use. Meetings can be set up very quickly. The actions feature is outstanding in managing approvals and obtaining votes on various items. The results summary is great for recordkeeping. Cons: This is not a deal breaker but would like to be able to limit meeting downloads by document. Currently you can download or not allow downloads per meeting only. Pros: It allows our Board Members easy access to the board packet each month. It is also much more secure than the typical printouts we would do in the past. Cons: There are often updates for this service. In my experience, we are required to re-authenticate after each update. Overall: We are providing a safe and secure platform for our board members to review our monthly board packets. There is confidential information in these documents that should not be seen by others. My experience with onboard has been AMAZING. Pros: Onboard is very user friendly and intuitive. It is suited for non IT-survey individuals. I would reccomend this to any age group. Cons: The software offers very little customization functionalities. I wish the look of the interface could be changed to fit the customers' preferences. Pros: It is easy to use. It's convenient and so much better than making paper copies! It's not very complicated to learn how to use it. Cons: I think it takes too long to build the book after downloading the information. Towards the end of the day when I use it, the entire system slows up. I'm in the Alaska time zone so it's evening time in states in the Midwest and in the East. Pros: OnBoard provides us with a place to put important documents so all Board members have access to them and we can send out agendas prior to Board meetings with all the reports attached so Board members can be prepared when they arrive. Cons: Can't think of anything right now. The only problem we have is when everyone is trying to log on at the same time in a meeting but that is because of our internet - not a reflection on OnBoard. Overall: It has been very positive. When we have questions/issues they are quick to respond. Pros: It is very user friendly. We have had very little issues. Cons: My only con is how the pages are numbered. It numbers pages with no material attached to the section in the agenda. Overall: the OnBoard board portal has been great for our organization. It has streamlined the delivery of Board material and improved the meeting presentation. 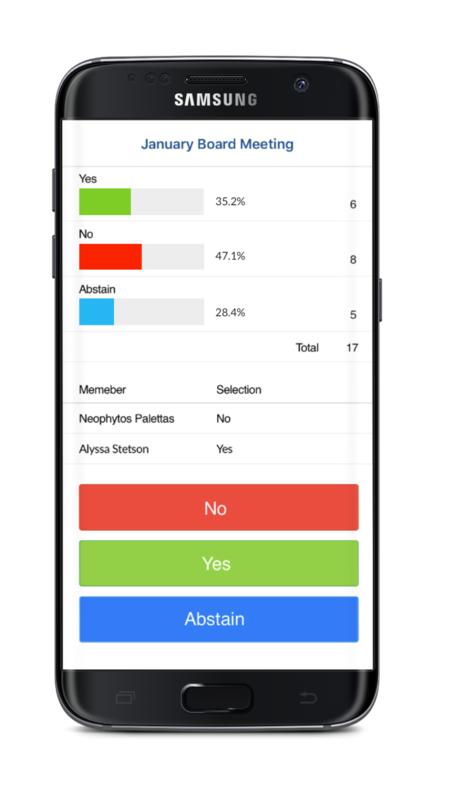 Pros: We use this software for each month to present our board packages and board member voting. Its a user friendly program, and the ticketing process/customer service is quick, responsive, and genuine in their efforts to help you. Cons: I feel like there are sometimes too many steps making the system seem I have to create a check list to make sure I crossed my "t"s and dotted my "i"s before I pressed publish. Also wish I could still edit everything even after pressing publish. Pros: The ability to quickly and easily upload documents into a board book. Saves a lot of paper and can be updated last minute if any documents have been updated. Cons: Sometimes adjusting the board books/documents to a proper size for viewing can be a bit challenging. Overall: The OnBoard Board Portal has saved our organization a lot of time and paper as our board books are very large and information can change frequently. It's an easy way for Board members to receive the materials ahead of meetings and be able to look back at resources at any point in time. Pros: OnBoard Board Portal is intuitive. I really like the graphic user interface. If you have used any Windows or Apple PCs or devices the OnBoard Board Portal will seem second nature within minutes of signing on. Cons: Not a con, rather an observation. Older board members that lack practical tech knowledge and are not daily users of technology might push back on any new technology being implemented. Overall: I wanted to make teleconference board meetings easier for the board members. 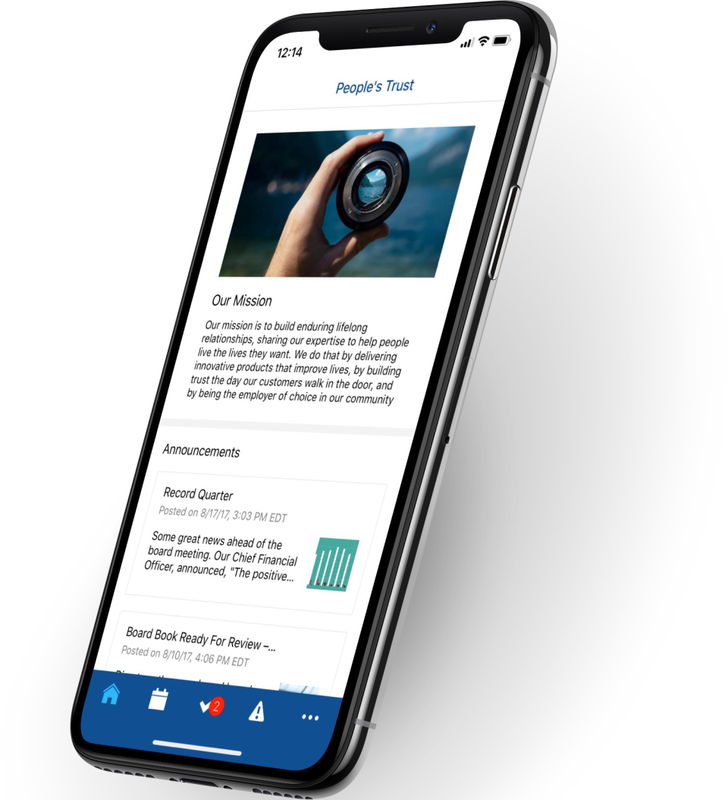 OnBoard makes it easy to disseminate information for upcoming meetings, while keep past meetings information available any time a board member wants to refer back to it. OnBoard works better than I anticipated. Comments: We use OnBoard for our Management meetings. 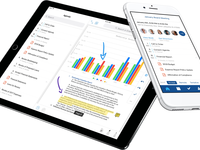 It provides a centralized experience in scheduling meetings along with the ability to attach presentations. 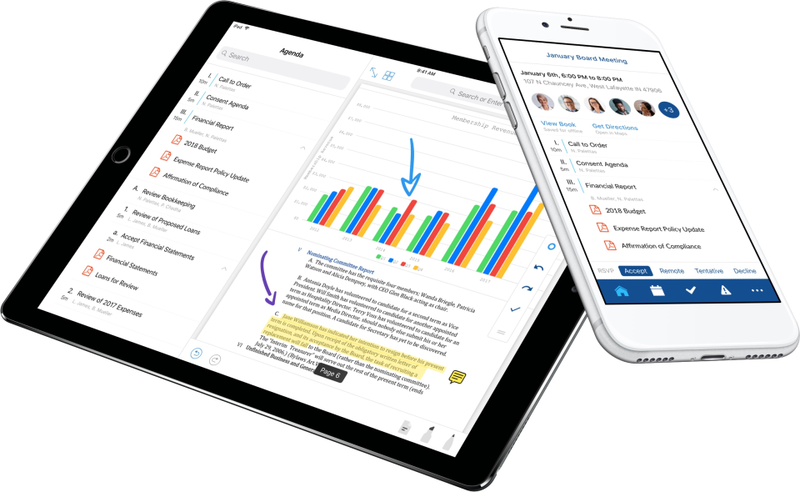 Additionally, it allows a more efficient note taking experience. The documents including presentations can be easily searchable anytime. The mobile apps also provide ease of access to the OnBoard application.